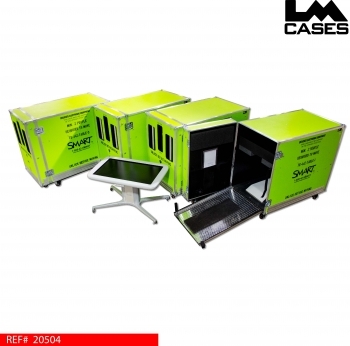 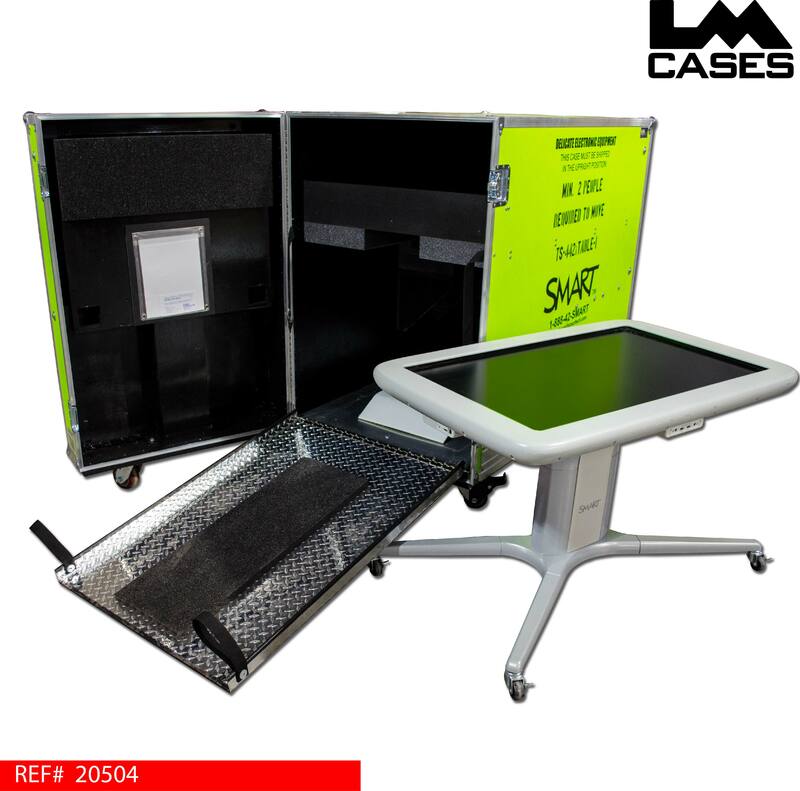 This case was built for Smart Technologies to transport their 442i interactive tables to trade shows. 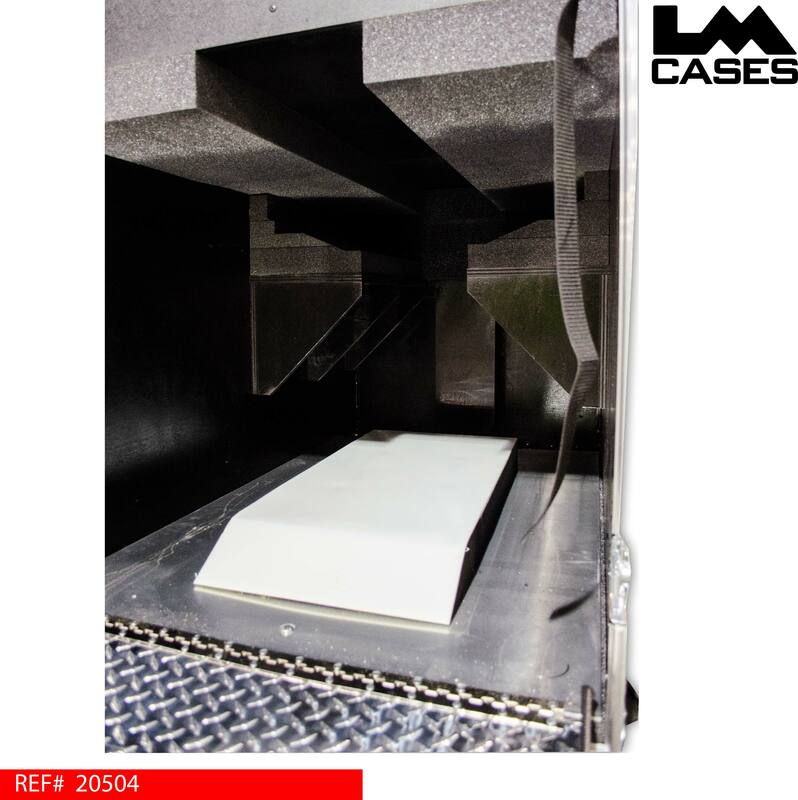 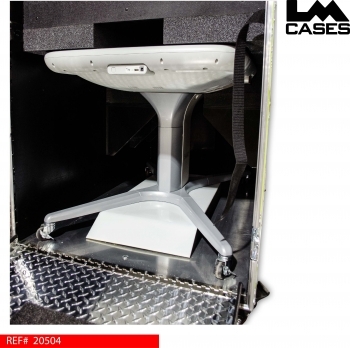 The case is designed to hold the table in a custom CNC cut foam insert removing all weight from the tables wheels and shock mounting the unit from the top down. The LM Cases design department engineered the foam insert to custom contour the shape of the table ensuring a secure fit, there is also a foam block that features a HDPE plastic laminated to the top to support the unit from its base. 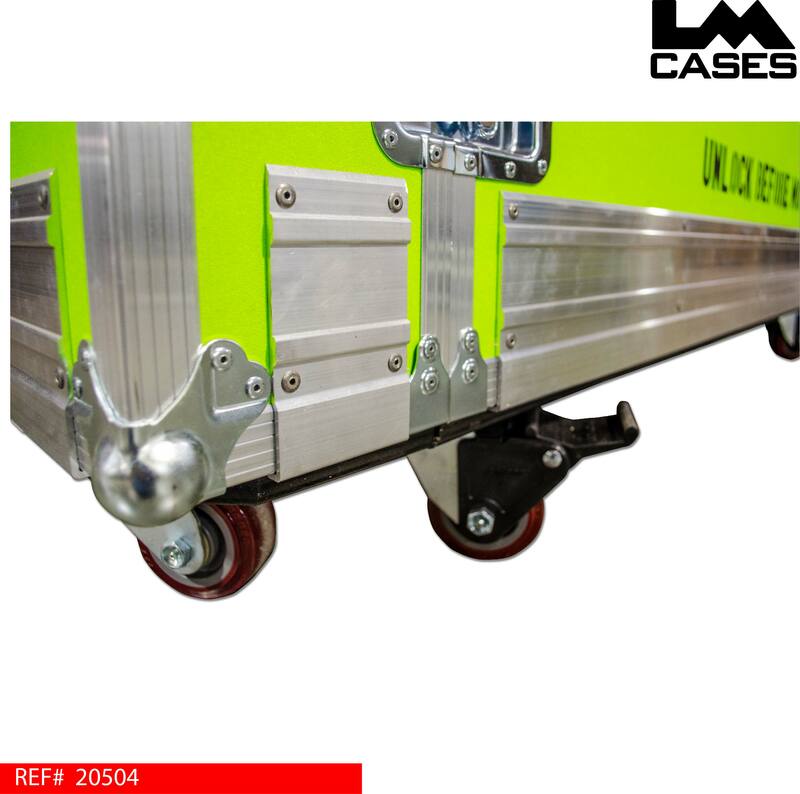 This combination method of supporting the unit from the top and bottom allows the wheels to be suspended and not support any of the product weight. 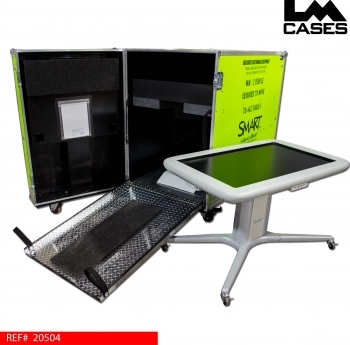 The case interior features a diamond plate ramp and floor to allow easy loading and unloading of the table. 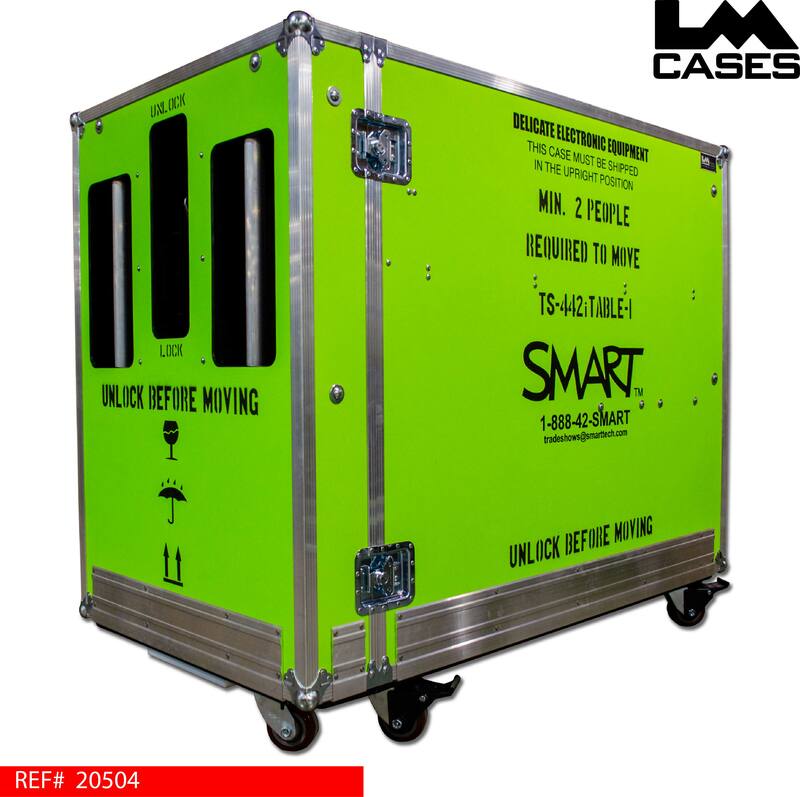 The exterior case is built out of 1/2" plywood laminated with Neon Green ABS plastic and features front and rear mounted hand brakes allowing the case to be securly locked into place. 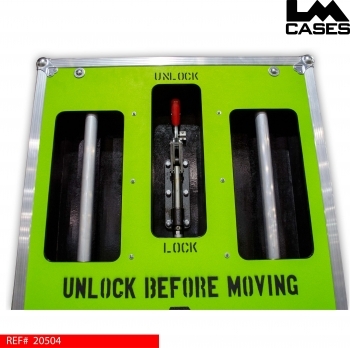 The case also features custom ergonomic bar handles allowing users of varying heights to move the case with out strain. The case bottom is skirted with 1/4" aluminum forklift guard that protects the most venerable parts of the case during transportation. Special thanks to Smart Technologies.